The vagus nerve is one of the most important channels for sending messages to and from the brain to the body. It is the longest nerve in the body and serves as the master controller of our immune cells, organs, and stem cells along with your mood, digestion, memory, cognitive function, blood pressure, and many other aspects of your health. 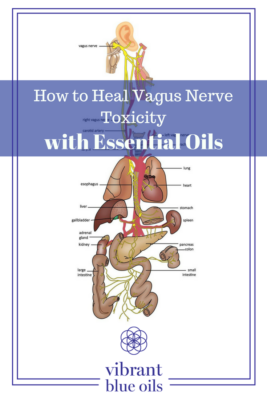 Learn how to repair your vagus nerve toxicity with Essential Oils. 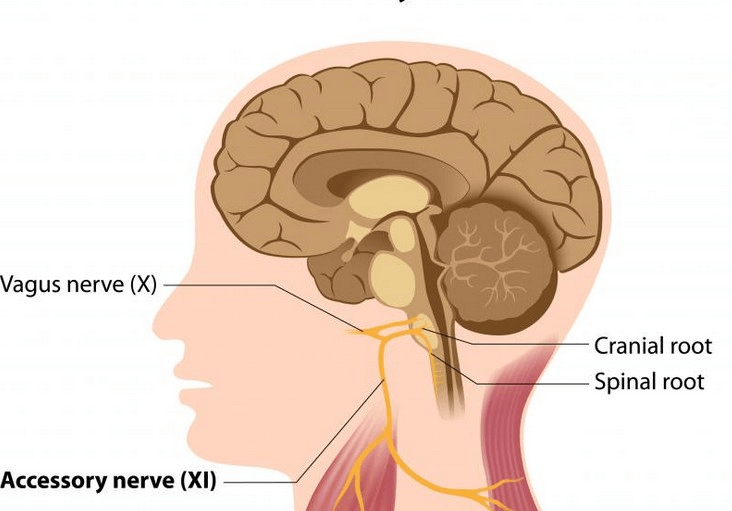 The vagus nerve is one of two extremely long cranial nerves that start at the base of the brain and travel down the neck on both sides of the body (behind the earlobe on the mastoid bone). ‘Vagus’ is Latin for ‘wandering’ and as the name implies, the vagus nerve travels through the body, networking the brain with every organ of digestion along with the lungs, heart, spleen, intestines, liver and kidneys. It also connects with a range of other nerves that are involved in speech, eye contact, facial expressions and even your ability to tune in to other people’s voices. It is an extremely important channel for communication between the brain and body and plays a critical role in the body’s ability to maintain homeostasis and health. For example, it is the vagus nerve that releases the neurotransmitter acetylcholine which signals the heart rate to slow down. Poor health can often be traced to an infected or poisoned vagus nerve. Toxins are drained from the brain down the lymph channels on the side on the neck. If lymph flow is congested, these toxins – including environmental toxins, heavy metals, infections or pathogens – can linger near the vagus nerve and infect or poison the nerve, impacting the whole enteric nervous system. Heavy metals and sulfur toxins have a high affinity to nerves and can contaminate the vagus nerve. 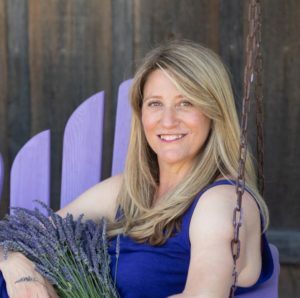 Because of the immense networking of sensory nerves and the nerves of the autonomic nervous system, toxins can be quickly absorbed in massive amounts. The origins of infections are often microbes in the mouth that don’t physiologically belong there. For example, heavy metals, pathogens, infections, viruses or toxins can dump into the neck from chronically inflamed tonsils or sinuses, dental amalgams, infected root canals, or cavities in the jaw bone where they migrate to nerve endings. From here, the toxins move in the nerves toward the brain stem where they can impact the face and other brain nerves. Sadly, the vagus nerve, just like the other cranial nerves, can be infected. A toxic vagus nerve can impede all downstream function of the digestive system, leading to malabsorption, constipation or leaky gut. Malabsorption can then contribute to the accumulation of large-molecular matter in the lymph which can further trigger allergic immune responses and intolerances. As the vagus nerve controls moltity in the digestive process, a toxic vagus nerve can lead to poor or misregulated intestinal motility, contributing not only to constipation, but also to imbalances in the gut microbiome, that can contribute to SIBO, IBS and candida overgrowth. Similarly, since the vagus nerve signals the release of acetylcholine to slow down heart rate, a toxic vagus nerve can lead to cardiac issues. Root canals are often correlated with heart attacks for this very reason. The communication from the gut to the nervous system and the brain is also compromised, impairing the immune system and contributing to autoimmune reactions. A correlation exists between malabsorption of nutrients and an infection of the vagus nerve. If the parasympathetic state isn’t triggered, insufficient stomach acid is released and nutrients are not properly broken down and assimilated. For example, proteins are not split or properly absorbed in sufficient amounts. Not enough bile flow prevents the absorption of fat soluble vitamins. If the excretion of pancreatic enzymes is insufficient, food is not digested properly, and this leads to the growth of pathogenic microbes further down in the colon. Stimulating the vagus nerve with topically applied essential oils (behind the ear lobe on the mastoid bone) can help manually override impaired function. The lipid soluable essential oils are able to directly and immediately access the nerve in a way that other supplements or remedies cannot. The following essential oil blends are best considered to support vagus nerve toxicity. Parasympathetic™: To stimulate the vagus nerve and trigger the parasympathetic response, topically apply Parasympathetic™ blend on the vagal nerve behind the earlobe on the neck can help manually override the infection and help reset the autonomic nervous system. Lymph:™ The lymphatic system needs to be functioning optimally in order for toxins to be removed from the neck and the brain. If you think of the body like a hydraulics system where congested tissue downstream prevents optimal flow upstream, congested lymphatic vessels in the neck will impede drainage of toxins from the brain. To enhance lymphatic flow and drainage, generously apply Lymph™ around the sides of the neck to relieve congestion, improve drainage and reduce brain inflammation. Liver™ – The liver is the primary organ of detoxification. It filters toxins and bacteria from blood and neutralizes the toxins in preparation for elimination. Before dumping more toxins into an already overworked liver, be sure to support the liver with the energy and vitality it needs to keep up with the increased toxic burden. 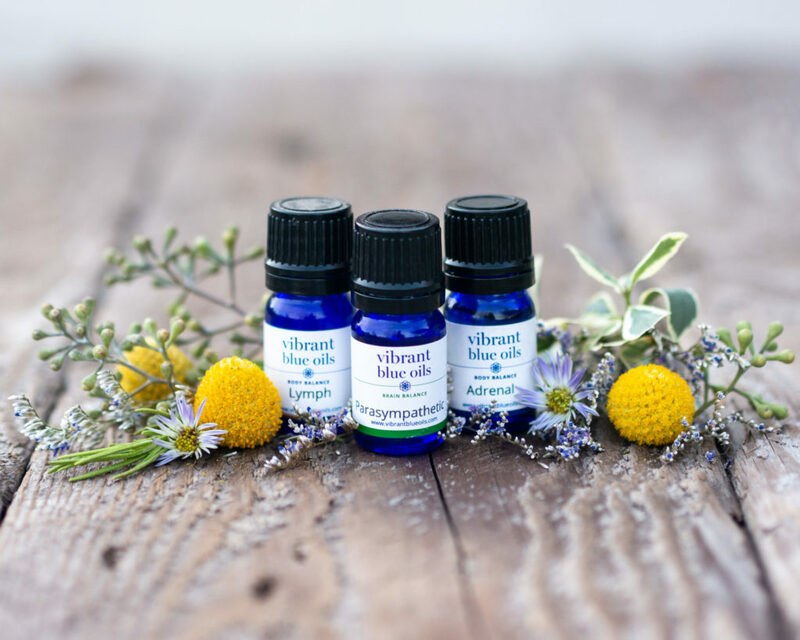 Applying 2 to 3 drops of Liver™ directly over the liver (right side of the body, under the breast) two to three times daily can help support the optimal health and vitality of the liver. Kidney Support™ The kidneys bind toxins to acids and excrete them in the urine. High levels of toxins and metals can overwhelm the kidneys, impeding their ability to effectively filter toxins. They control the volume, composition and pressure of fluids in all the cells and water is symbolic of the unconscious, our emotion and of that which we do not understand and that which we fear. Applying Kidney Support™ over the kidneys on the back of the body can help support the gentle release of toxins. Gallbladder™ – The gallbladder stores and concentrates bile, which helps to emulsify fats and carry toxins and old hormones out of the body. Interestingly, healthy gall bladder function and the free flow of bile plays a key role in eliminating constipation. When bile flows from the liver (releasing toxins with it) through the gallbladder to the small intestine, where it breaks down the fat for the body to absorb, it acts as a natural irritant to the lining of the intestine, which stimulates peristalsis that promotes bowel movements. Unfortunately, stress, toxicity, hormones, or diets too low or too high in fat can make the bile thick, viscous, and stagnant, which impedes its ability to flow both to the small intestine and out of the body. To support the flow of bile and, with it, toxins out of the body, apply Gallbladder™ on the right side of the body under the bra under-wire or along and slightly under the right rib cage two to three times daily.